There are many factors that are driving this market. For large and small and medium enterprises, the key word is efficiency and it is of utmost importance. As such, cloud automation has come in the form of a boon for them. These automation processes help the business owners to fundamentally better their speed of delivery with a data center infrastructure and thereby simplify various monotonous processes. 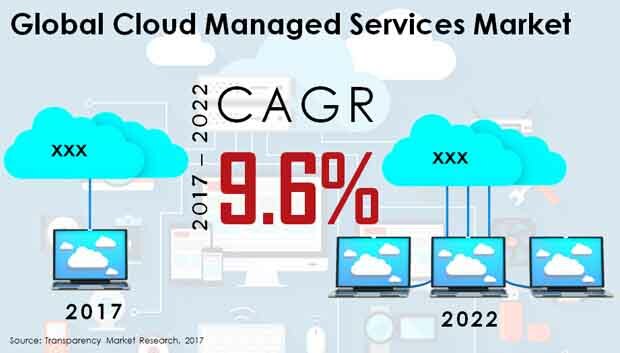 The rising adoption of cloud managed services by many makes an offering of assistance in decreasing and sharing cost of functionalities of the organizations and enables outsourcing. Also these processes further go a long way towards the reduction of CAPEX by freeing up more of internal resources. With the entry of big data, an increasing trend of cloud analytics, increased adoption of the technology amongst the small and medium enterprises, and continuous emphasis of companies to increase mobility of the enterprise are a few of the major factors that has been bolstering the demand of cloud managed services.